The U.S military plans to charge at least 5 Marines in connection with the killing of 24 Iraqi civilians in Haditha, a small farming town in Western Iraq. The charges may include negligent homicide or murder. It has been almost a year since the Haditha tragedy first surfaced and U.S. Congressman John Murtha accused U.S. Marines from the 3rd Battalion of killing “in cold blood” 24 Iraqi civilians, including women and children. Mark Zaid, the attorney representing Marine Staff Sergeant Frank Wuterich, who was in charge of the unit, claims his client is innocent. “We don't know yet what charges will be filed, except that we heard that dereliction of duty will be asserted against some of the officers. Most likely, at least what has been bandied around is manslaughter or even murder. Time will tell whether the defence that they will assert, which would be that they were operating in standards of conduct and rules of engagement, so it was appropriate,” Mr Zaid said. Military criminal investigators launched two inquiries into the Haditha case, one focusing on the murder probe and one focusing on the Marine Commanders handling of the incident. The investigation into the military response found that Marine officers failed to properly respond and scrutinise the reports of the killings. As a result, three senior Marine officers were relieved of command, including Captain James Kimber, who claims that he had no knowledge of the Haditha deaths. “I did the best I could over in Iraq, and this is how it ends, in me being relieved and associated with a war crime which is absolutely not the case,” Captain Kimber stated. 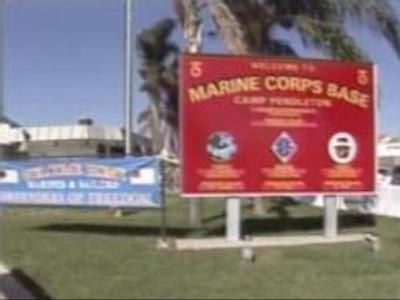 Now the upcoming criminal case is expected to focus on whether the Marines on the ground were responding to perceived threats using legitimate force, or if the troops acted outside their rules of combat. The defence attorney says his client was following the military rules of engagement and insufficient training by the Marine Corps played a role. “Military members are essentially being placed into war zones where they have to continually switch hats, where they have to go from soldier to police officer. Soldiers are trained to kill and they are trained to react, Marines in particular who generally go in first, to the hottest spots. But there is no doubt that there fostered a problem, when the men and women on the ground, don't know what hat they are wearing that day, and there is no doubt that this contributes to what happened that day,” Mark Zaid said. The public debate over the Haditha incident is spilling out on to the Internet, with some groups calling the incident a massacre and a retaliation attack, while others are expressing their support for the troops, claiming the Marines were following the rules of combat. But according to the latest polls, only 32% of Americans believe such incidents are common, and 62% of Americans say that the reported massacre of Iraqi civilians will harm relations with the Muslim world. The expected fallout from the Haditha incident is sparking fears in the U.S. that a wave of international condemnation will further diminish support for the already unpopular Iraq War. The Haditha charges could also turn into a full-blown war crimes trial and experts warn that this case may be just the first precedent with more to come in the near future.